1. Start by taking a photo of your child from a side profile and print it out on A4 paper. 2. Cover the photo with a sheet of vellum and trace around the outline detail of the head. 3. Cut out the vellum shape, lightly stick down on your chosen paper, washi tape is great for this as its low tack. Trace the image onto the paper, if you have more than one portrait you can flip the vellum so they are facing each other. 4. Cut out the paper and lightly colour the edge with a fineliner to define the shape. 5. Cut out a piece of contrasting backing paper. 6. 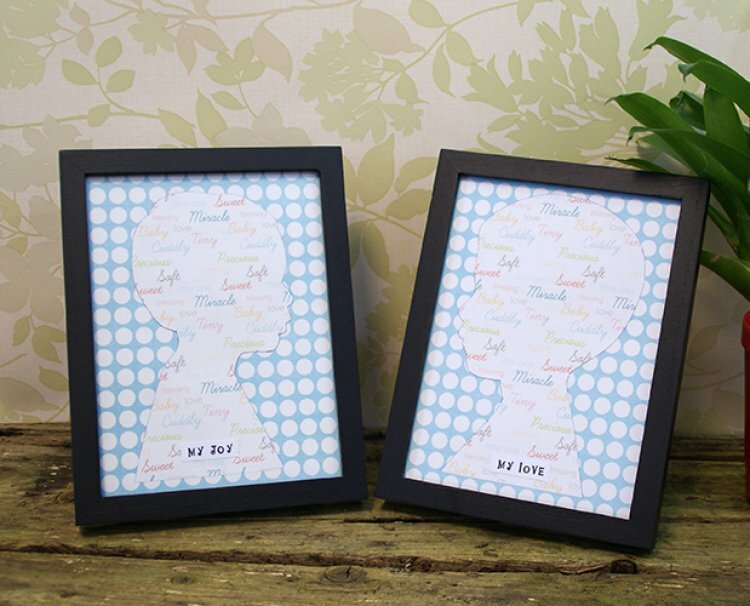 You can add a stamped sentiment or your children’s name and age. Why not make this yearly with your favourite papers and chart the growth of your family as they grow. Share your finished projects with us in the project gallery; we love to see what you have been making.